Mental models are frameworks used to guide perspective and decision making. “You can’t really know anything if you just remember isolated facts and try and bang ’em back. If the facts don’t hang together on a latticework of theory, you don’t have them in a usable form. You’ve got to have models in your head. And you’ve got to array your experience—both vicarious and direct—on this latticework of models. As a merger & acquisition advisor, I frequently talk with business owners who don’t know how to think about their deal. They may not have a mental model at all or, more often than not, their model is flawed and needs to be recalibrated. That’s good for me, actually, because this is how I feed my family. Buyers and sellers of businesses don’t live in the dealmaking “monkey house” like I do. They spend their time building expertise in matters that don’t include working capital pegs or SBA financing or due diligence checklists. My job exists because buyers and sellers of businesses need not only technical knowledge, but also mental models to think well about their deal. Providing my clients with mental models is one of my favorite parts of the job. A deal happens when people, capital, and companies come together in a new way. You must have all three pieces to make a deal. It may sound simplistic but often nobody says that out loud. The deal triangle provides an initial framework – which is then used to develop a definition of success that considers the deal holistically. I’ve found it incredibly helpful to explain the deal triangle as a foundational first step for my clients. As an advisor, I sit in the middle of the deal triangle. My job is to find and combine the right people, the right capital, and the right company in the right way. What’s the right way? The way in which all three elements agree with each other. There are almost infinite combinations, but luckily there are also best practices and benchmarks that can be used as starting points. No matter who you are, it is vital to understand where you are in the deal triangle. For example, take John. He owned a business and was looking for additional cash to grow his company. 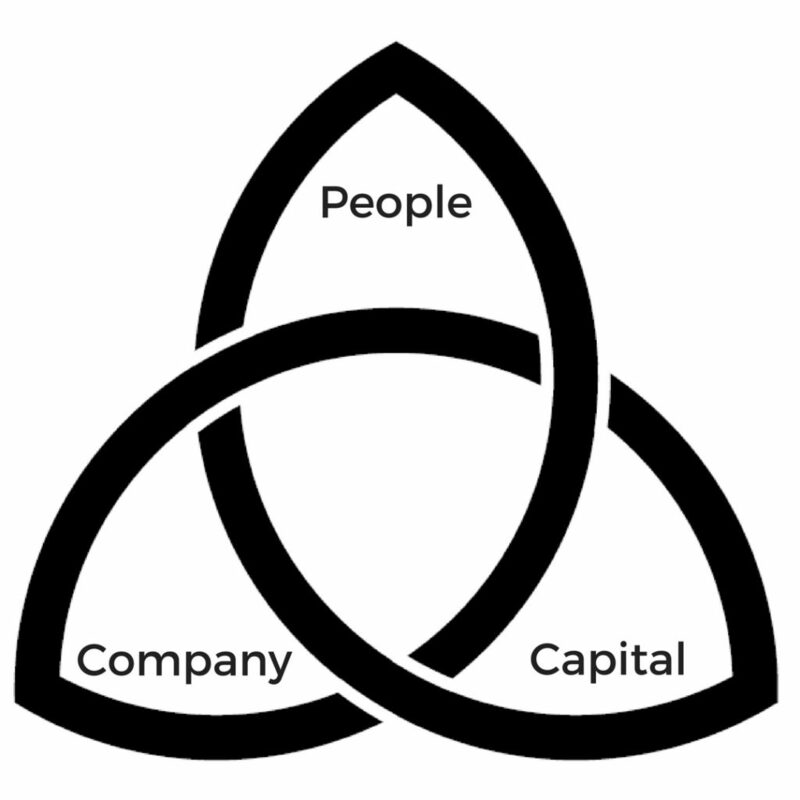 He had two parts of the triangle, people and company, but needed the third component, capital. Like most business owners, John wanted maximum dollars but minimal interference from the source of capital. Of course, most capital providers aren’t stupid and will have some reporting requirements, if not direct involvement. It’s risky to put money into a business so to protect their investment capital providers want influence over the other two parts of the triangle. How much will capital affect me and thus, my company? What will have to change? Do they require a controlling interest to make an investment? What type of reporting do they require? What is the decision-making hierarchy? How long do they expect to retain their equity stake in the company? After seeking additional context from his investment banker, John was able to understand how unusual his ideal capital partner would have to be. He set expectations accordingly and by asking the right questions, John found a great capital partner that allowed him to maintain control and invested with a long-term timeline. That’s the deal triangle mental model at work. 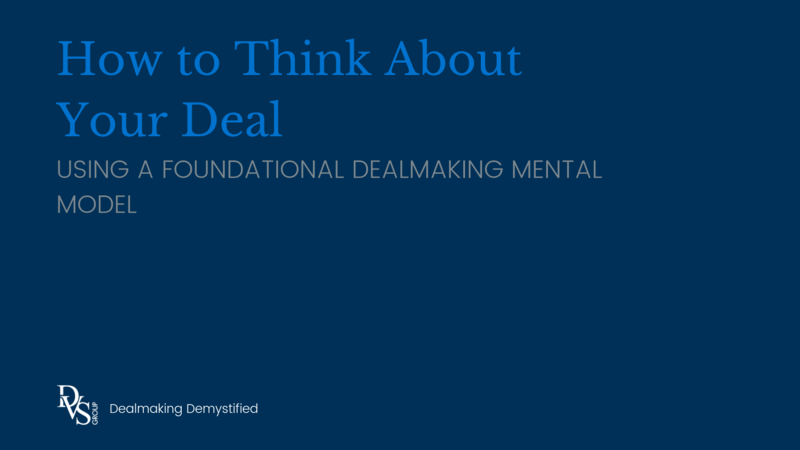 What dealmaking mental models have you found helpful?